Join company founder and head chef Alex in the Eat Square Kitchen for a pie master class. Learn pastry recipes and techniques as well as pie filling secrets. The day normally lasts 6 hours and includes lunch in the kitchen; although there are no chairs to its a strictly standing buffet! You will learn how to make the Eat Square classic short crust pastry as well as suet crust pastry and sweet pastry recipes. Bring a notepad to write down all the information and you will be free to take pictures and video throughout. The next chance to learn about pie making with Eat Square will be on Sunday the 5th of March from 10.30am until about 4.30pm. The class costs £65 per person. To see if there are still places left call or email us. 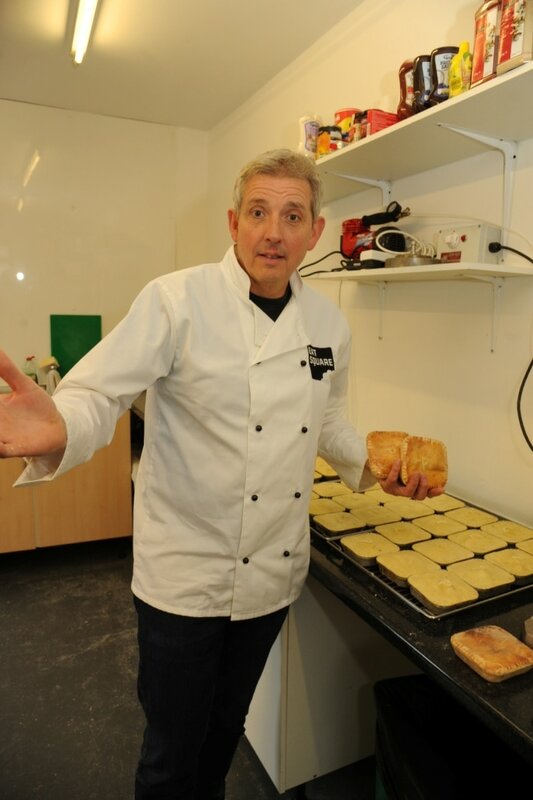 Alex will welcome you to the Eat Square kitchen where all our pies are made by hand.